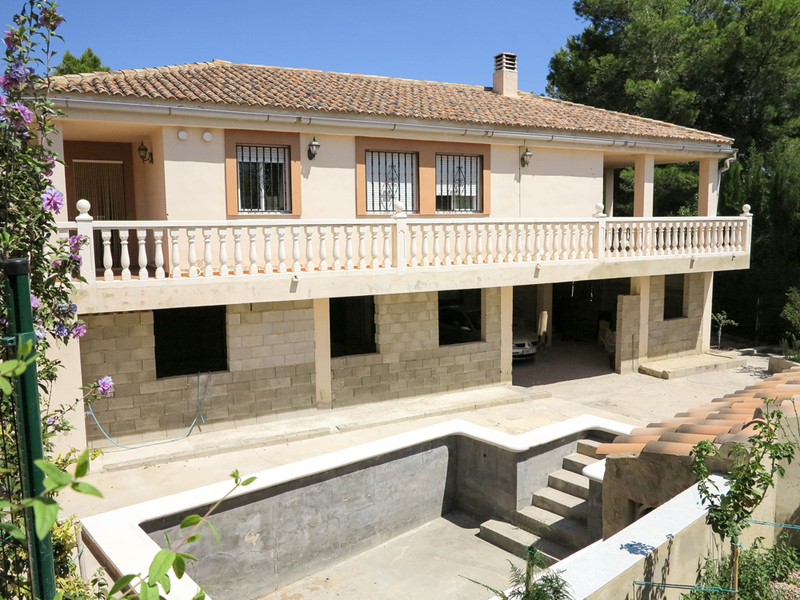 This is one of our large properties for sale in Turis Valencia, which has a living area of 132m² on the main floor and a large under build that has the potential to be converted. 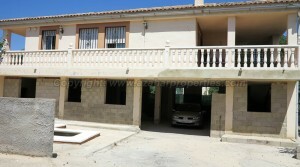 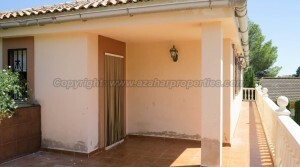 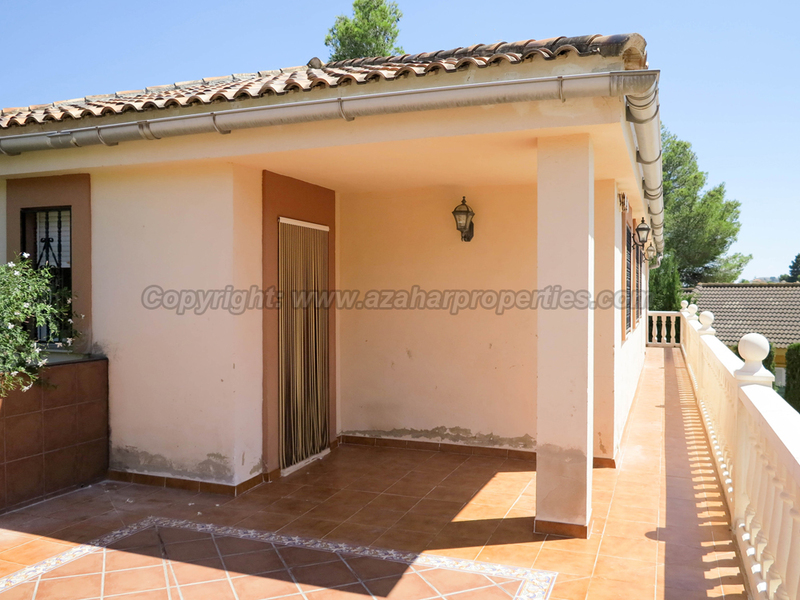 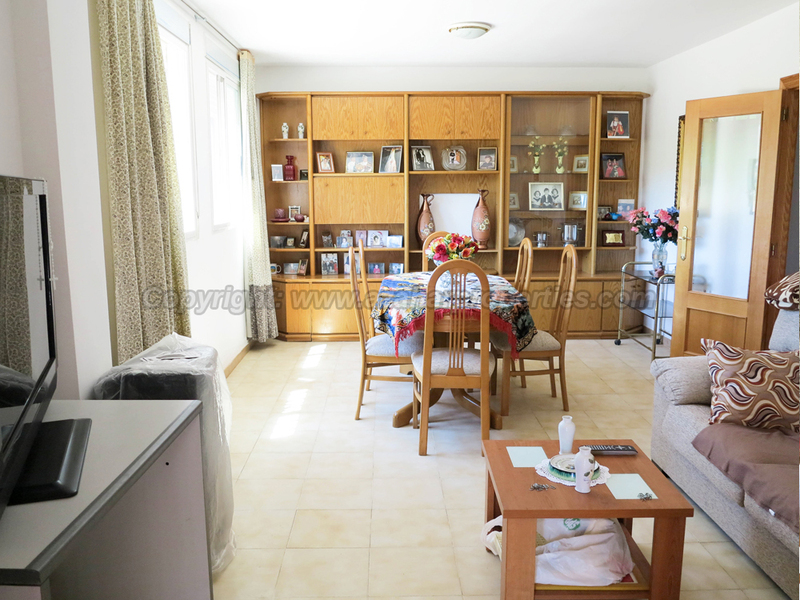 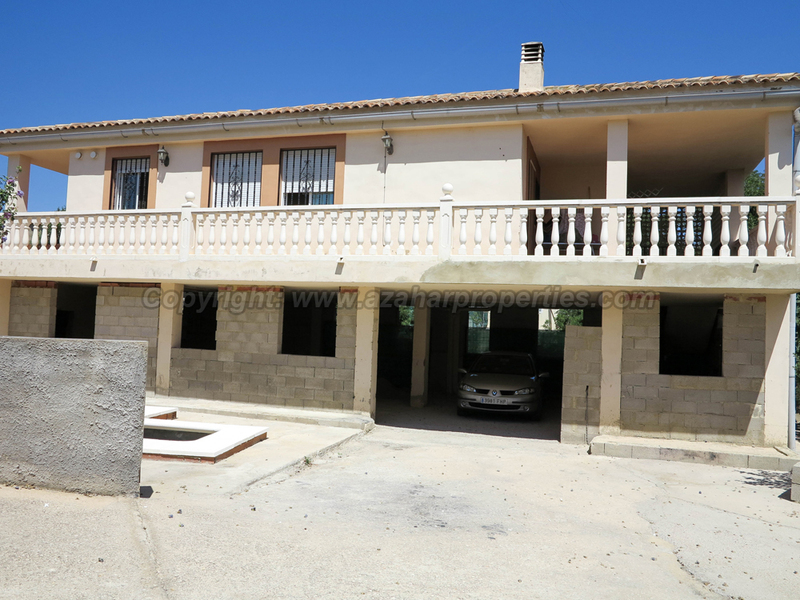 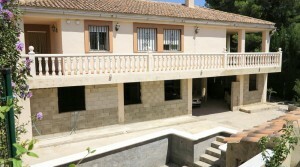 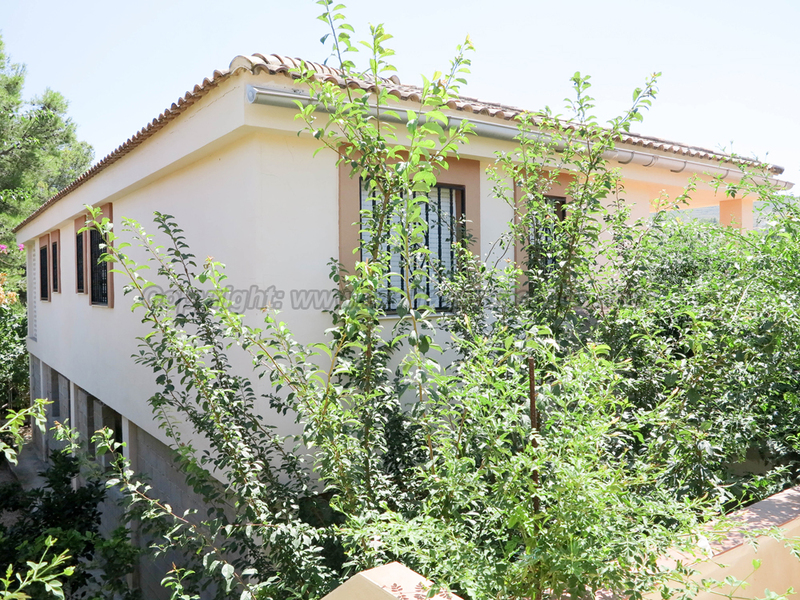 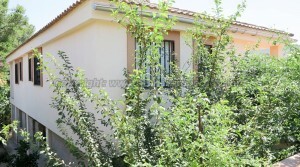 It sits on a corner plot on the Altury urbanisation with some great views of the surrounding countryside. 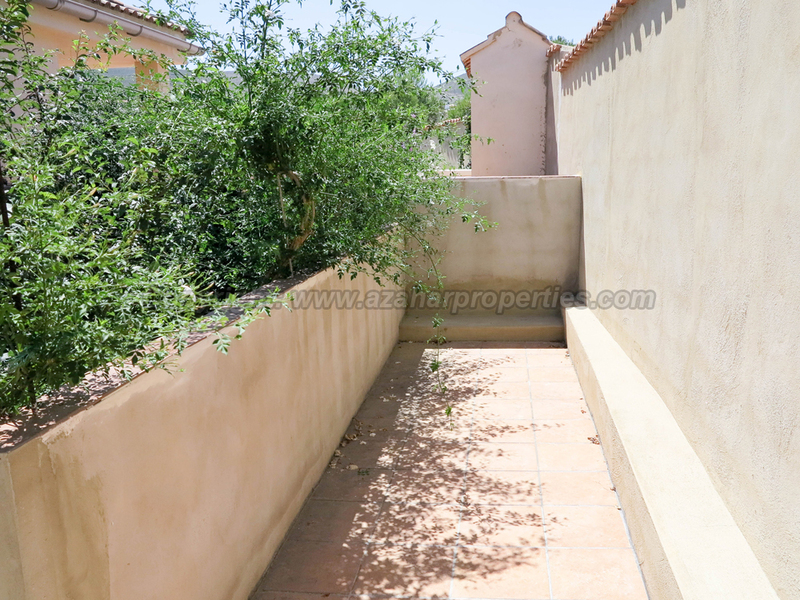 You enter the property from road level where you have a pedestrian gate access to the villa and there is a double gated entrance to the driveway on the side that goes down to the lower garden. 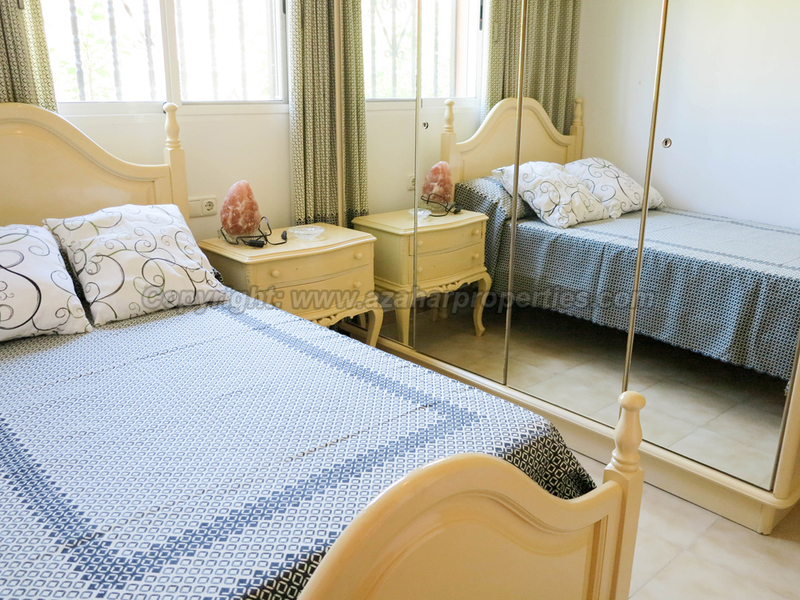 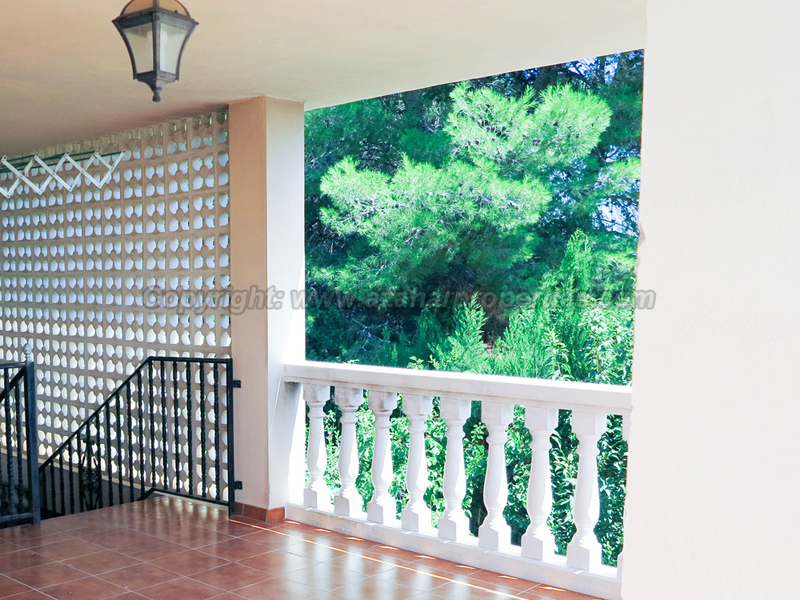 This well presented villa has a reception hallway that distributes to all of the rooms. 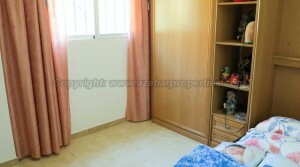 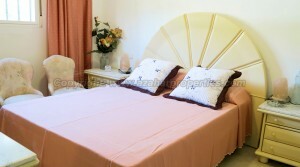 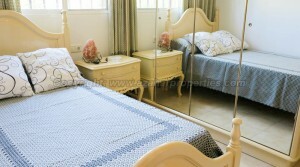 There are three double bedrooms with fitted wardrobes. 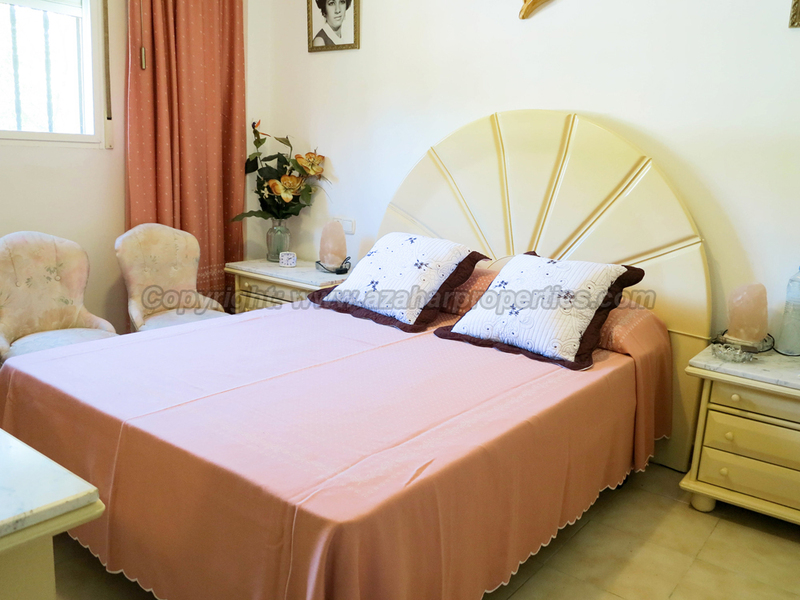 The main bedroom has an en-suite bathroom with shower and there is also a separate family bathroom with full size bath to serve the other bedrooms. 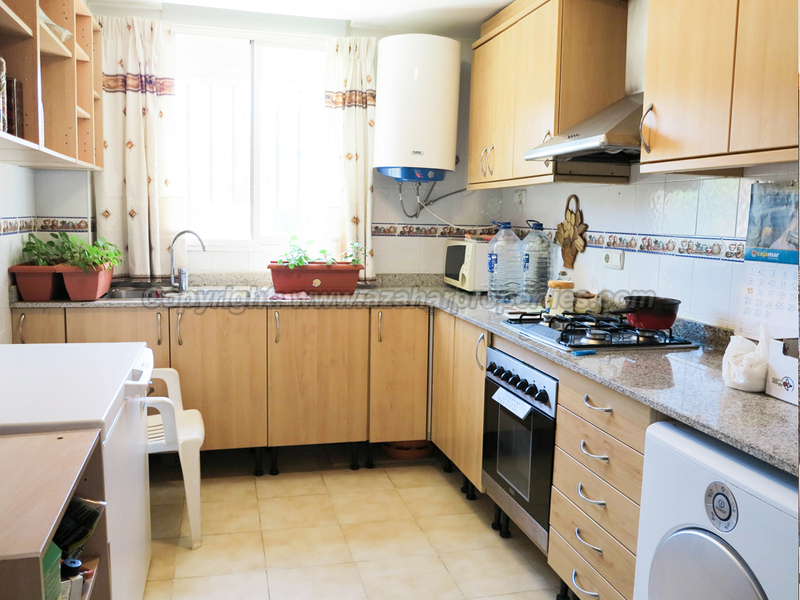 There is a fully fitted kitchen with plenty of workspace and units, from here you have a large lounge/dining room complete with a log burning stove and patio doors taking you out to the 30m² covered terrace at the rear of the villa. 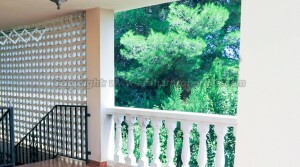 This covered terrace overlooks the swimming pool and gardens on the lower level. 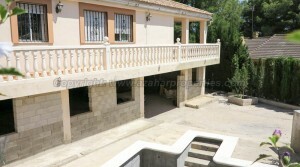 From this rear covered terrace you have a staircase taking you down to the large under build. 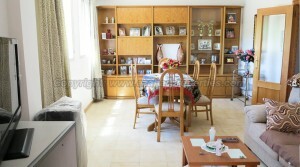 The under build is a blank canvas and it has high ceiling and is very spacious. 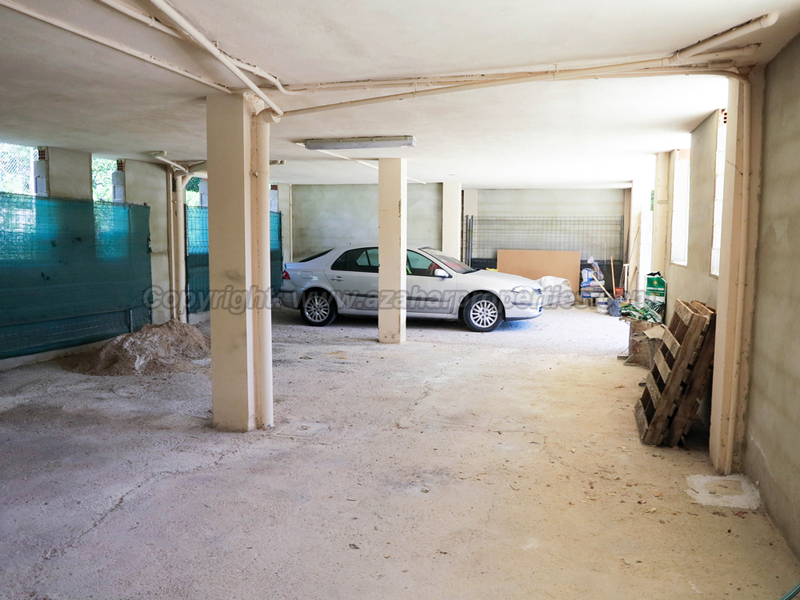 This area could easily be divided up to to making as a further three bedroom apartment and still maintain area to be used as a garage for your car. 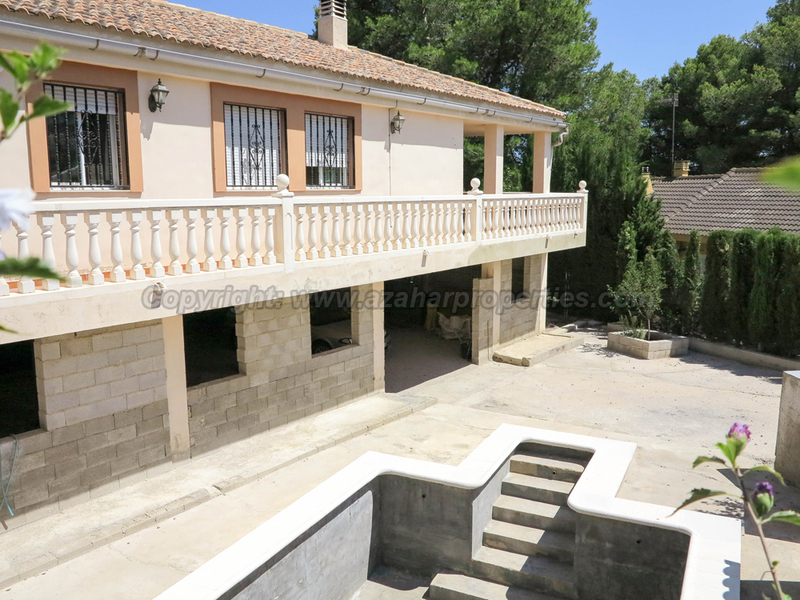 You should obtain planning permission to make this conversions as this property is built on ‘Urbano’ (building land), being situated on the Urbanisation Altury. 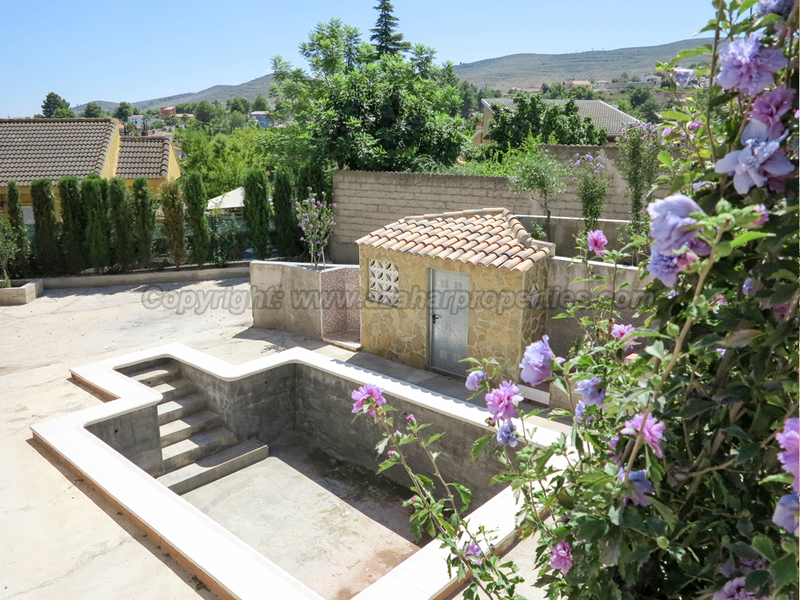 There is a 6m x 4m swimming pool that has an additional 2m in length for its entrance steps, as it is built with a ‘Roman steps’ design. 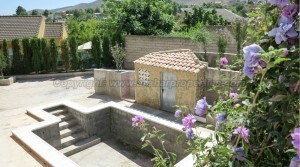 This is a great design feature where you can sit or lay in the water. 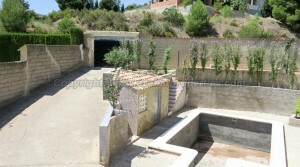 The swimming pool has a filter and pump connected and its own pool house situated to the side of the swimming pool terrace complete with a pool side shower. 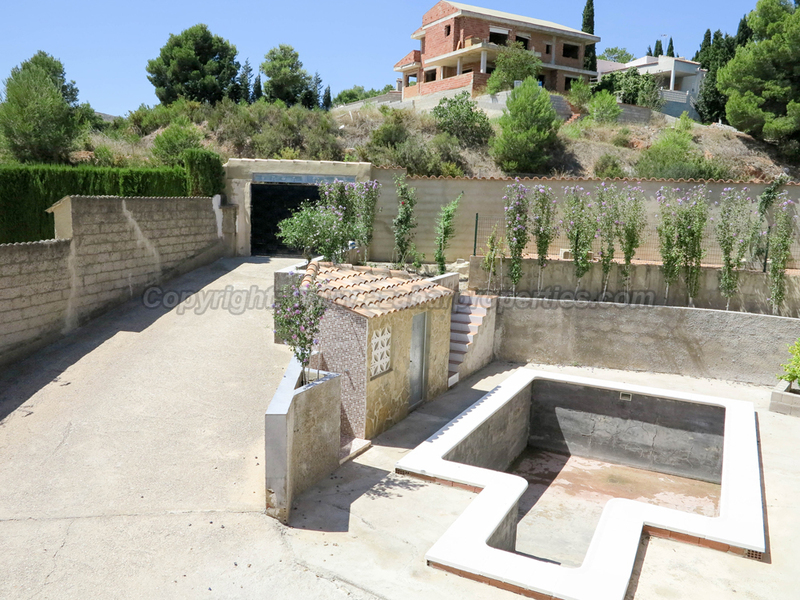 However the swimming pool does need tiling, which is a relatively low cost job and which we can help you with if required. 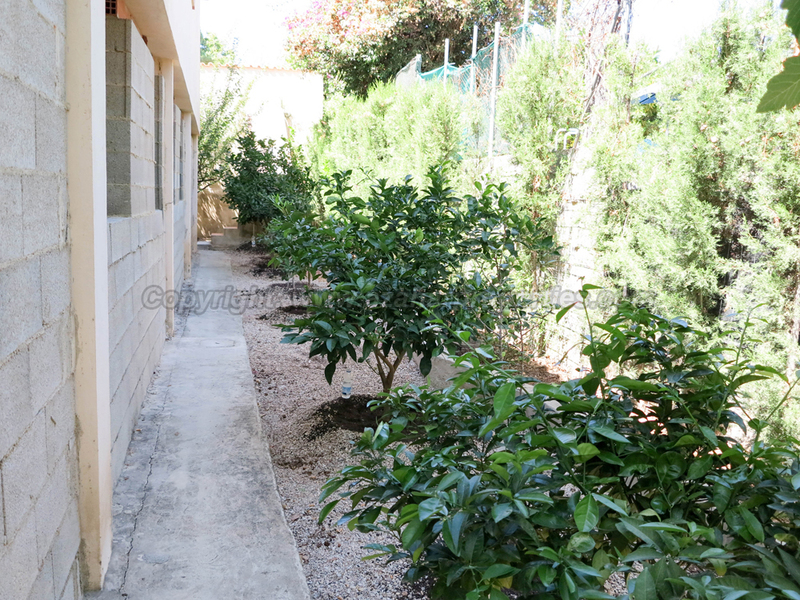 At the other side of the villa from the swimming pool you have a charming little 20 m² shaded courtyard so as to escape the hot sun. 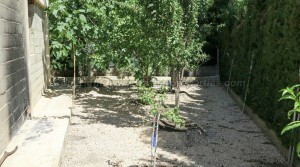 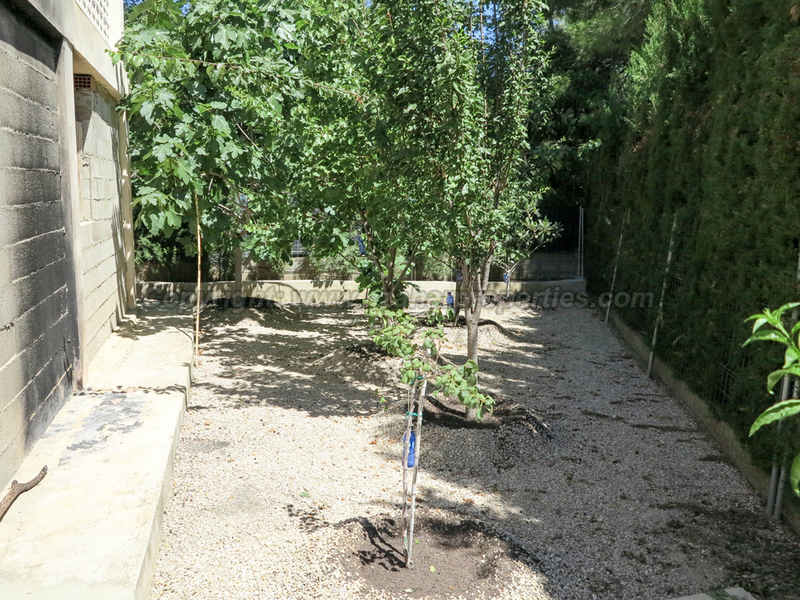 This courtyard is surrounded by various fruit trees. 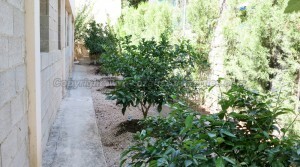 Within the gardens you have apricot, pear, plumb, orange, lemon, fig and orange trees, together with other shrubs and palms. 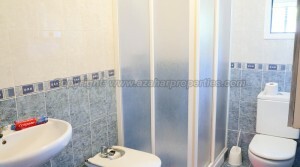 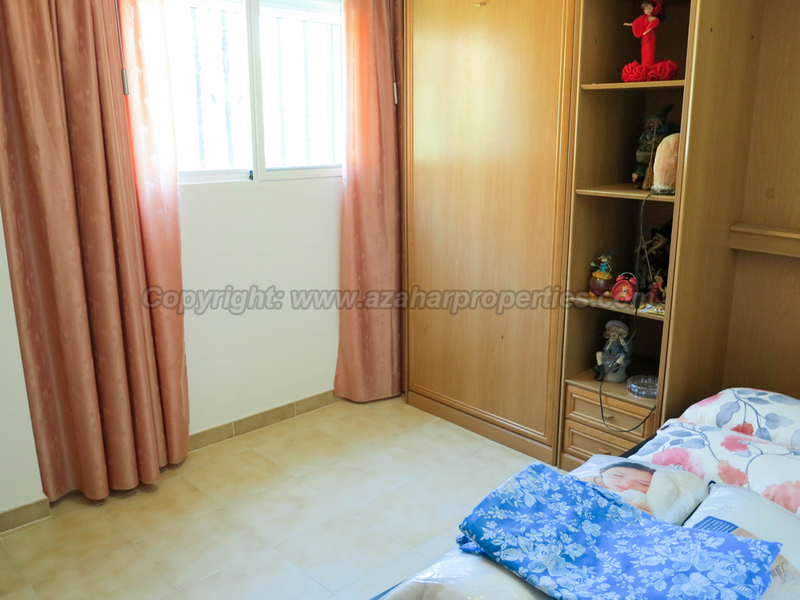 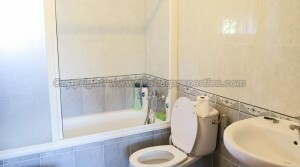 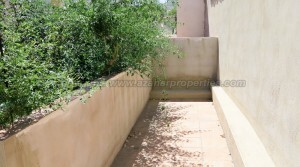 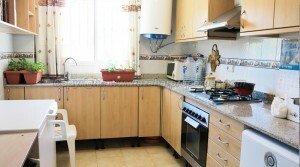 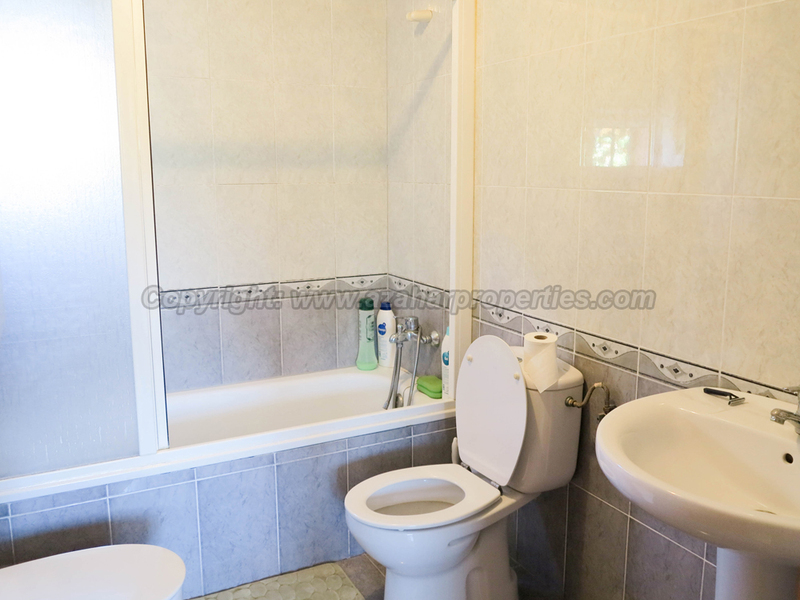 This property is connected to the main drainage sewerage system of the urbanisation which is a very good feature. 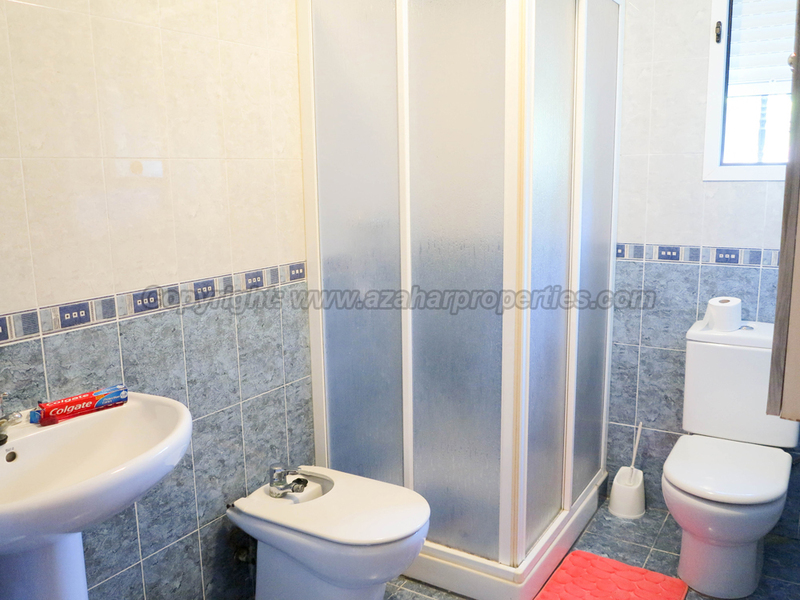 It also has double glazed windows, quality wooden internal doors and good tiling throughout. 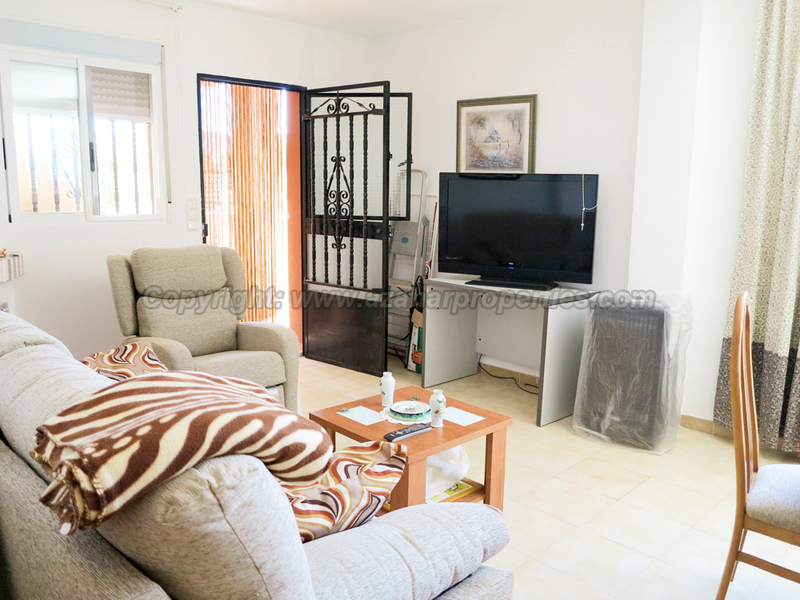 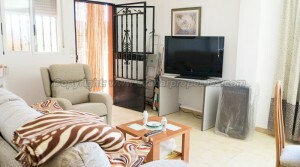 This fixed price property is being sold partly furnished and has lots of potential.